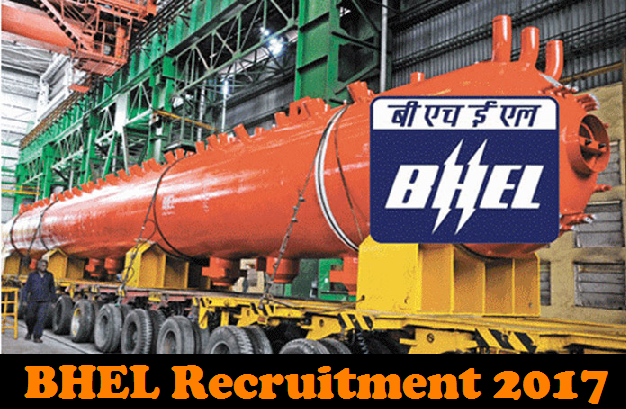 Bharat Heavy Electricals Limited has revealed their recent recruitment for 604 Trade Apprentices vacancies. Want to get recruitment? You can apply before 18th October 2017. Now check below all details. Bharat Heavy Electricals Limited (BHEL) owned and founded by the Government of India, is an engineering and manufacturing company based in New Delhi, India. Established in 1964, BHEL is India's largest power plant equipment manufacturer. It was granted the prestigious Maharatna (big gem) status in 2013 by Govt of India for its outstanding track record and vast scale of operations. The elite list of Maharatna companies contains a total of 7 behemoth Public Sector Undertakings (PSUs) of India. Maharatna status affords the Boards of these companies enhanced financial and operational autonomy from the Government. Graduation details:- Candidates who wanted to participate for BHEL Trade Apprentices job should have Passed 10th class examination and ITI Passed certificates in the respective Trades. Process of Interview- Selection will be made on GATE 2017 Score and Interview. Procedure to apply:- You can get apply from www.apprenticeship.gov.in register themselves then apply again www.bheltry.co.in on or before 18.10.2017.